Developer Roger Pomerleau wants the change to allow brew pubs, distilleries and light manufacturing businesses to operate at the complex. 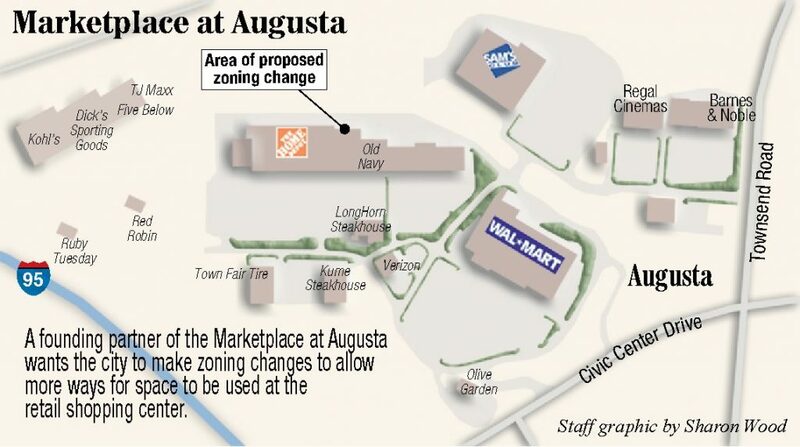 AUGUSTA — A proposal to allow brew pubs, bakeries, warehouses and light manufacturing at the otherwise retail-store-focused Marketplace at Augusta is up for a City Council vote Thursday. Small breweries, distilleries and bakeries aren’t currently allowed in the zone that encompasses the large shopping complex, according to city Development Director Matt Nazar, nor are they allowed in the city’s other major commercial zoning districts. He said councilors could consider adding those uses not just to the zoning district where the Marketplace is located, but also to the city’s other commercial districts. Local businessman Roger Pomerleau, a partner and developer of the Marketplace at Augusta, said he discovered such businesses aren’t now allowed at the Marketplace while researching the city’s zoning rules. He said Marketplace officials had been trying to draw a brew pub to the Marketplace for some time, unaware the city’s zoning rules wouldn’t allow one there. In seeking to be able to host small breweries, distilleries and bakeries at the Marketplace, Pomerleau said, they’re not seeking a beer, booze or bread manufacturer. Instead, he said they want to be able to attract a brew pub or craft distiller who’d make beverages to be consumed at restaurants attached to their operation, such as at Sea Dog or Sebago brew pubs and restaurants elsewhere in Maine. “We’ve been soliciting breweries all this time without knowing we weren’t zoned to have any kind of breweries in there,” Pomerleau said. “We’re not looking for a brewery like an Anheuser-Busch plant. This is for brew pubs. Also at the request of Pomerleau, councilors are considering changing zoning rules to allow light manufacturing or warehousing businesses to locate at the Marketplace. He said the shopping complex off Civic Center Drive has space in the back of at least one building, the former Linens ‘n Things location next to Home Depot. 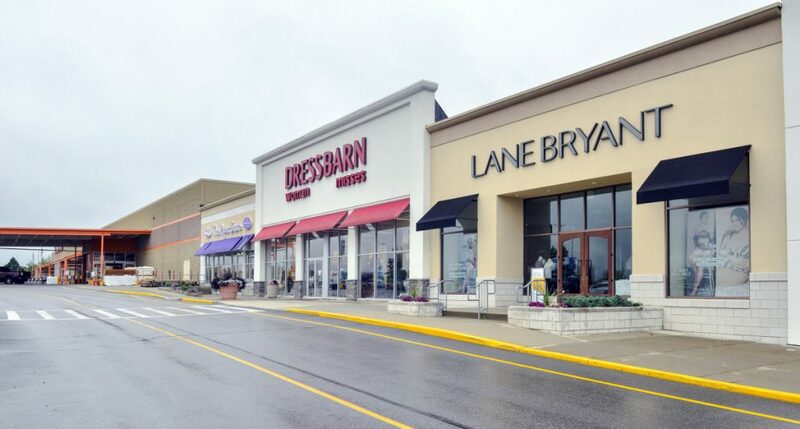 Its front portion is occupied by retail stores, including Dressbarn, the Paper Store and Dreams Bridal Boutique, but has space sitting unused in the rear portion. Pomerleau said the rear of the building has loading docks and plenty of available parking. He said the Marketplace had a potential tenant interested in doing some light manufacturing in that spot. They went elsewhere, however, because the complex couldn’t accommodate them because zoning rules don’t allow any manufacturing in that zone. Pomerleau said the focus of the Marketplace, even if the new uses are approved, will remain retail, because that is a far more lucrative use of space than warehousing or manufacturing. “Of course the highest and best use is always retail,” he told city councilors when they discussed the proposal at their last meeting. “That’s number one, no question. Quality retail, family retail, is always our highest and best. We have economic incentive to do that. 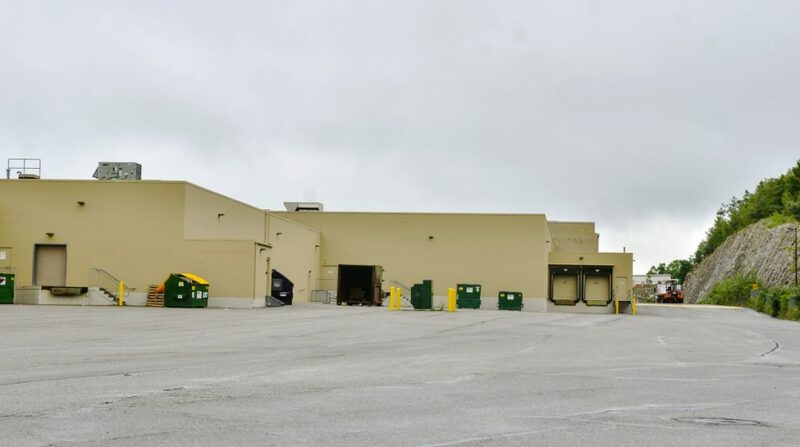 Some city councilors expressed concern that allowing warehousing and manufacturing at the Marketplace could be unfair to other shopping centers in Augusta. But that is already allowed by zoning where the Turnpike Mall and Augusta Crossing are located, Nazar said, as conditional uses. Those uses, however, are not allowed by zoning that encompasses the plazas on Western Avenue, including the locations of Shaw’s and Kmart. Those two shopping centers are different because they are located closer to the center of the city, Nazar said, and are closer to residential areas. Councilors also asked if allowing warehousing at the Marketplace could lead to marijuana-related storage uses there. Nazar said medical marijuana is regulated separately from warehousing in the city’s ordinances, and medical marijuana uses are limited to the medical and industrial zoning districts. A city committee is currently reviewing how the city will regulate recreational marijuana, a process in which Nazar is involved. He said the group working on that proposal would make sure there are no unintended consequences from the zone change when they write proposed recreational marijuana regulations. Councilors are scheduled to vote on the proposal at their 7 p.m. meeting Thursday in council chambers at Augusta City Center.